Fleas can cause problems for pets ranging from minor to life-threatening. Not only can these parasites cause severe itching, irritation, and allergies, but they can also transmit tapeworms and diseases. Fleas can infest dogs, cats, ferrets, mice, and rats. And fleas don’t just stay on pets; they can bite people, too. You don’t want these blood-sucking parasites on your pet or in your home. We can help keep them away or help you get rid of them if they’ve already found their way inside. Fortunately, there’s an easy way to keep your dog or cat safe: by administering monthly heartworm preventives. Most heartworm medications also protect your pet against other parasites, such as roundworms, hookworms, whipworms, and ear mites. 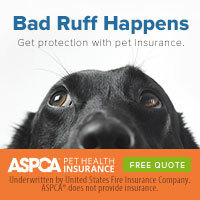 We can recommend the best regimen of prevention for your pet. The first few months are a critical period in your puppy’s development, and we can give you the support and tools necessary to help him or her grow into a well-mannered, healthy dog, including information and advice on nutrition, training, behavior, and socialization. The first few months are a critical period in your kitten’s development, and we can give you the support and tools necessary to help him or her grow into a well-mannered, healthy cat, including information and advice on nutrition, litterbox training, and behavior. It’s easy to get confused or overwhelmed by all the pet foods on the market. We can help you weed through the choices and a food that will meet your pet’s specific nutritional needs. We even carry many nutritionally balanced, veterinary-approved brands in our clinic. Feel free to ask us for a food recommendation or to contact us with any nutrition questions or concerns you might have. We’re happy to help!